ART IN PROCESS (AIR) created the term EXISTENCE THEATRE in 2012 in relation to their specifically staged performative actions that take place in the public and/or studio environment in the combination with video installation. It involves a work method that they began to develop over recent years. They keep continuously refining it in practice and theory through single art projects. It involves the collaboration with institutions as well as the selected participation of multidisciplinary artists in the making. The beginnings of the EXISTENCE THEATRE go back to PROJECT X, a video performance project, which has been realised in different locations of Western Australia between 2004 and 2005. Since then numerous projects were created in this context and the term Existence Theatre (which ART IN PROCESS use for their practice) was extended and refined over time. Collaborations evolve spontaneously where projects take place, i.e. during national and international festivals or AIRs. The development of projects happens through a direct exploration of certain surroundings and cultural environments with a special focus on how transculturality shapes these places and its people. A long-standing interest concerns multiple facets of identity images in times of a globally changing understanding of culture (and in relation to diverse forms of racial discrimination) that is influenced by a collective mindset of historical events. Bello Benischauer, directing the Existence Theatre, was born and educated in Austria. Among other issues he explores how forms of fascism shape the individual and how political events shape behaviour patterns of the following generations. With his artistic practice he tries to work against current trends of xenophobia, instead wants to create an artistic vacuum, a space for people of different origin to meet as unprejudicing as possible (because, in fact, no one is free of judgement) but also outside their comfort zone (where one can’t hide behind common habits and gets vulnerable and receptive for new impressions). He examines through artistic processes how people learn again to listen to own intuitions, coming out of the process able to face the foreign aspects in themselves more open-minded. What sounds like a therapeutical approach is actually an instructing creative process, in which he explores potentialities of how to strengthen the individual’s creative abilities by using art as an instrument to get rid of man-made social and cultural constraints; also exploring ways of how to affect the audience. Issues, which have been addressed through such processes over the years, are of challenging actuality in the present context. The rapidly changing face of Europe through the masses of refugees leads to a new welling up of xenophobia. It is of great significance to work against racial ideologies in any possible way. It is a central objective of the Existence Theatre practice, to observe and explore how people of transcultural societies deal with fears of losing identity and how it is possible to rebuild a new, multi-layered and especially positive identity image in the contemporary context. With his practice the artist looks at the term identity and examines how ties to historical complexities and/or acquired feelings of guilt often lead to factitious behaviour towards people of other cultural and religious origins. He is interested in how people place others from sight or through the sound of language and how this can be illustrated by using i.e. languages simultaneously in performance acts. Multicultural doesn’t always mean transcultural, because the former doesn’t necessarily lead to the merging of cultural diversities but more than that often results in strengthening conflicts and the isolation from each other. It is important to continue to show, which positive aspects and means a transcultural society for the individual can have and how this can be made understandable through artistic processes. People bring their own personal history with them. With their performances the Existence Theatre initiates existential experiences for their audience – inside a created space, where openness for others shall get increased and cultural and religious differences don’t lead to judgement and prejudice but to curiosity and connectedness. How do people (of global societies) engage with their selves, their being and which insight do they get into the term transcultural identity* within different living environments and from a present-day perspective? ART IN PROCESS creates a Temporary Ensemble for each project, with which they initiate a process by combining corporal movement, voice and using different languages to confront the individual (within the group and in relation to an audience) in an unconcealed manner with one’s own self, “the other” and the in-between, based on a self-written performance text. What is it that we expect from “the others”? How do we judge them? And which criteria do we use to create a new reality (based on which cultural patterns that we base them on), which we experience/perceive as real? What happens, if we draw away from the social circles that we know best, to confront ourselves with the foreign people? Which of our educated and through socio-cultural backgrounds shaped behaviour patterns/habits get suddenly apparent and we therefore consciously aware of them? Which privileges do we appreciate and which of these privileges can’t we use for ourselves? Here and elsewhere? Do we have expectations through a certain social status, from which we expect others to acknowledge them accordingly? Or are we ourselves in the position to feel obliged to fulfil the expectations of others? What happens if we bare all of societal status and try as a human being to face another, confronting ourselves with the other self and not until then with the own self? What does individuality actually mean within our global system? Which roles do we play and what do they mean? Cross-culturally? Transgressively? Or just on different societal levels? The idea of self-contained structures and the aim to place and categorise everything rightly gets shaken by the ever expanding and complex mixing of cultures, and all of a sudden this idea doesn’t work anymore. Where does it lead us, when old structures/habits do not cause the desired reaction anymore? When cultural traditions, taken out of their context, lose their power? Then capitalism starts to rule… and globally existing racism, because racism is certainly a reaction of the fear that one must share = lose something or out of the compulsion to open up to “the other”, out of the lack of understanding, out of wrong claims, which simply rule out the ethical laws of being human, and because within racism one believes that if something mingles, the own self would necessarily get lost. And racism simply rules out the foreign, “the other”, the uncommon, which does not match own (defined or imagined) standards. But we can try to explore the self and the other self. Without any masks, naked we face the other, meet each other, confront ourselves with the unknown, what we did not already think or can plan ahead and start a communication on a completely different, invisible level. Once we have reached this state something can develop. We take the time to face the other as a human being. We take the time to learn to understand. 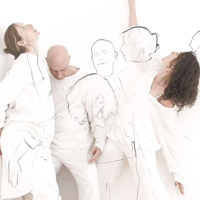 ensemble works together on the creation of open spaces, which are brought to the audience’s attention and which mean to create space for an insight into an existential experience. Let us create a fresh reality, in which we are open to draw away from the foreign, which isn’t foreign any more because we have started to get to know it already and it isn’t foreign anymore because of that… Then we can create a new realness and with it connected reality for a transcultural society, in which racism and other patronising trends of religious, cultural, political and/or social nature have no place and we must necessarily overcome them. Die Anfänge des EXISTENCE THEATRE’S gehen zurück auf PROJECT X, ein Videoperformanceprojekt, das an verschiedenen Orten Westaustraliens zwischen 2004 und 2005 realisiert wurde. Seither entstanden vielzählige Arbeiten, in deren Kontext sich das Existence Theatre und sein von ART IN PROCESS dafür gefundener Begriff weiterentwickelt. Spontane Kollaborationen entstehen da, wo Projekte stattfinden, u.a. bei Festivals und während AIRs. Dabei passiert ein direktes Auseinandersetzen mit bestimmten Umgebungen und kulturellen Umfeldern, mit dem Schwerpunkt auf Transkulturalität und wie diese Orte ihre Menschen prägen. Ein langjähriges Interesse gilt dabei dem Verstehen unterschiedlicher Facetten des sich global verändernden Identitätsbildes im Kontext des Kulturenwandels (in Beziehung zu diversen Formen von Rassendiskriminierung), und wie jene mit einem „kollektiven“ Gedankengut historischer Ereignisse verknüpft und davon beeinflusst sind. Bello Benischauer, Leiter des Existence Theatre’s, geboren und aufgewachsen in Österreich beschäftigt sich u.a. mit Auswirkungen von Faschismus und Krieg auf nachkommende Generationen. In seiner künstlerischen Praxis versucht er sich gegen Xenophobie und andererseits gegen Berührungsängste (basierend auf ererbter Schuld) zu stellen und schafft wiederholt ein künstlerisches Vakuum, einen Raum für Menschen unterschiedlicher Herkunft, sich möglichst vorurteilsfrei (weil frei vom (Ver-/Be-)Urteilen sind wir alle nicht) aber auch außerhalb der eigenen Komfortzone (denn nur da sind wir selbst berühr- und verletzbar und daher aufnahmefähig für Neues), zu begegnen. Innerhalb seiner künstlerischen Prozesse untersucht er, wie Menschen wieder lernen auf die eigene Intuition zu hören, und wie sie beginnen fremden Aspekten in sich selbst offener entgegenzutreten. Was zunächst wie ein therapeutischer Ansatz klingt, ist vielmehr ein anleitender kreativer Prozess, in dem individuelle Fähigkeiten im künstlerischen Einsatz als Instrument zur Freilegung menschengemachter sozialer, politischer und kultureller Einschränkungen dienen können. Problematiken, die hier über die Jahre hinweg adressiert werden, sind gegenwärtig von herausfordernder Aktualität. Das sich rapide verändernde Gesicht Europas u.a. durch den gegenwärtigen Flüchtlingsansturm führt im europäischen Raum zu einem neuen Aufwallen von Fremdenfeindlichkeit im allgemeinen. Es wird daher erneut und umso notwendiger, rassistischen Ideologien entgegenzuwirken. Es ist ein zentraler Ausgangspunkt des Existence Theatre’s geworden, sich damit zu beschäftigen, wie Menschen innerhalb transkultureller Gesellschaften mit Ängsten vor Identitätsverlust umgehen und wie dabei aber auch ein neues, vielschichtigeres Image im Gegenwartskontext möglich wird. Rund um den Begriff Identität wird untersucht, wie Verstrickung in historische Komplexitäten und damit verbunden anerzogene Schuldgefühle oft zu gekünsteltem Verhalten gegenüber Menschen anderer Kulturen und anderer religiöser Herkunft führen. Mit dem Existence Theatre wird weiters versucht zu beleuchten, wie Menschen andere nach Aussehen und Sprachklang einordnen und wie sich das verändern lässt und setzt dabei Sprachen oft simultan ein. Multikulturell bedeutet nicht immer transkulturell, weil ersteres nicht notwendigerweise ein Verschmelzen kultureller Unterschiedlichkeiten bedeutet, sondern oft sogar verstärkt Konflikte und Abgrenzung gegeneinander forciert. Es gilt weiterhin verstehen zu lernen, welche positiven Aspekte und Bedeutungen eine transkulturelle Gesellschaft für den individuellen Menschen haben und wie sich dies über künstlerische Prozesse an andere weitervermitteln lässt. Mit dem Existence Theatre werden Prozesse entwickelt, in denen ein Publikum zu existentiellen Erfahrungen eingeladen wird, mit eigener Historie im Gepäck, jedoch mit gesteigerter Offenheit anderen Menschen gegenüber, abseits kultureller und religiöser Differenzierung. Das EXISTENCE THEATRE… in seiner Weiterentwicklung… auf theoretischer und praktischer Ebene und wie sich transkulturelle Identität künstlerisch erfahren/deuten/mitteilen lässt. Womit und wie beschäftigt sich der heutige Mensch in globaler Gesellschaft mit sich selbst, seinem Wesen und welche Einsichten erlangt er in den Begriff transkulturelle Identität* und dies innerhalb unterschiedlicher (Lebens-)räume? 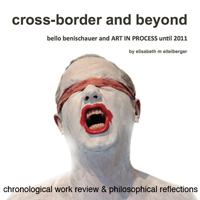 Basierend auf eigenen Performance-Texten gründet ART IN PROCESS Temporäre Ensembles, die mit Körperbewegung, Stimme und unterschiedlichen Sprachen jeweils einen Prozess initiieren, in dem es gilt, sich mit dem Eigenen, dem Fremden und dem Dazwischen offen zu konfrontieren. Der didaktische Schwerpunkt liegt dabei auf der künstlerischen Leitung einer performativen Zusammenführung unterschiedlicher Medien in einer prozessorientierten Improvisationsarbeit. Hier wird bewusst nicht dozierend gelehrt und gelernt, sondern Raum geschaffen, etwas miteinander und bei sich selbst – anhand eines Performancetextes – freizulegen und (neu) zu entdecken. Was erfahren wir selbst performativ und vermitteln es weiter, wenn wir uns im Existence Theatre zunächst nicht damit beschäftigen etwas Vorgedachtes zu bestätigen, sondern uns dem Nichtwissen aussetzen und diesem Nichtwissen permanent im zu schaffenden Prozess begegnen? Innerhalb des Existence Theatre’s kommt es also zum Kreieren künstlerischer, multidisziplinärer Prozesse, in die ein Publikum Einsicht nehmen kann. Diese Einsichten, mit denen sich das Existence Theatre vom Begriff Aufführung entfernen möchte, laden das Publikum zu einer eigenen existentiellen Erfahrung ein, soweit es sich selbst dafür öffnet. Kulturelle Buntheit und das sich gegenseitig begegnen im EXISTENCE THEATRE, dessen größtes Anliegen es ist, sich dem Gegenüber offen, möglichst frei anzunähern. Vorkommnisse der Vergangenheit haben uns geprägt. Ein Bemühen um politische Korrektheit führt oft zu unfreiem Umgang mit dem anderen. Wir reagieren befangen und eine unkomplizierte Begegnung scheint unmöglich. Das fällt uns aber oft nicht auf. Letztlich steht uns unsere Ernsthaftigkeit dabei im Weg, ungezwungen auf unser Gegenüber zu reagieren und es sprichwörtlich in die Arme zu nehmen. Hemmungen leiten uns, wir möchten nichts falsch machen, reagieren extrem zurückhaltend und haben dann die Situation bereits verpasst, uns dem Anderen zu öffnen. Besonders offensichtlich wird es, wenn wir uns völlig fremden Kulturen und deren Traditionen gegenübersehen und schlichtweg humorlos werden, weil unser Lachen ja anders interpretiert werden könnte. bello benischauer, auf dessen Ideen das Existence Theatre aufbaut und der es stetig weiterentwickelt, verbrachte mehr als zehn Jahre damit, unterschiedliche Lebensräume kennen zu lernen, sich in unterschiedliche Communities einzuleben und dies in Ländern wie Süd- und Zentralamerika, Pakistan, Iran, Nepal, Süd- und Ostafrika, Indonesien, Neuseeland, Indien und Teilen Europas, bevor er sich neben Österreich in Australien niederließ. kultureller Beurteilung) an sich. Mit dem Existence Theatre schafft er Situationen der Unbefangenheit und erweitert Räume, egal auf welcher Ebene. Was erwarten wir von unserem Gegenüber? Wie beurteilen wir es? Und nach welchen Kriterien, basierend auf welchen kulturellen Mustern, die dieser persönlichen Beurteilung zugrunde liegen, erschaffen wir uns eine Realität, die wir als wirklich erleben/wahrnehmen? Was passiert, wenn wir uns aus dem uns gesellschaftlich bekannten Rahmen (und seinen Strukturen) wegbewegen und fremden Menschen gegenübertreten? Welche unserer anerzogenen und durch sozialkulturelle Hintergründe geprägte Verhaltensweisen/Muster werden dabei plötzlich sichtbar und uns selbst erst bewusst? Welchen Vorurteilen unterliegen wir? Welcher Vorteile bedienen wir uns in unserem gewohnten Umfeld und wie sieht das auf fremdem Gebiet aus? Welche Privilegien genießen wir oder welche davon können wir selbst nicht in Anspruch nehmen? Im Hier und Anderswo? Haben wir durch eine gewisse gesellschaftliche Stellung Erwartungshaltungen, von denen wir annehmen, dass sie von allen rundherum gutgeheißen und dementsprechend erfüllt werden? Oder befinden wir uns, jede/r für sich, in der Situation, uns genötigt zu fühlen, die Erwartungen anderer erfüllen zu müssen? Was passiert, wenn wir die gesellschaftlichen Hüllen fallen lassen und versuchen als Mensch einem anderen Menschen gegenüberzutreten, uns mit seinem Selbst und somit dem eigenen Selbst konfrontieren? Was bedeutet eigentlich noch Individuum in unserem globalen System? Welcher Rollen bedienen wir uns und was bedeuten diese Rollen? Kulturenübergreifend? Grenzüberschreitend? Oder auch nur auf gesellschaftlich unterschiedlichen Ebenen? Dann regiert nur mehr der Kapitalismus… Und global vorkommender Rassismus, weil er ist ja eine Reaktion auf die Angst zu teilen=zu verlieren oder sich Fremdem zu öffnen, aus einem Unverständnis heraus, aus falschen Ansprüchen, die die ethischen Gesetze des Menschseins einfach ausschalten und weil man in ihm glaubt, dass wenn sich etwas mischt, das Eigene dann unbedingt verloren geht. Und der Rassismus schließt das Fremde, das Andere, das Ungewöhnliche, das nicht den eigenen (vorgegebenen oder eingebildeten) Normen entspricht, einfach aus. Er ist eine Gewalt, die in allen Menschen einen Nährboden findet, wenn die richtigen “Tasten” gedrückt werden. Hier kann sich dann nichts weiterentwickeln, neu formen oder verändern. Hier kann sich aber auch nichts bewahren und einbinden lassen, weil hier herrscht nur die Stagnation, das Starrsinnige, letztendlich etwas Mächtiges, das doch aber universell betrachtet kraftlos ist. Warum überhaupt kann und will man sich in der heutigen Zeit den Veränderungen in unserer Welt verschließen? Wie ist es nur möglich, lediglich das Negative hinauszuschreien und vor dem wunderbar bunten und vielfältigen Menschsein die Augen zu verschließen und es so zu fürchten? Wir können aber auch versuchen uns mit dem Selbst und dem anderen Selbst auseinanderzusetzen. Maskenlos, nackt stellen wir uns dann gegenüber dem anderen, berühren uns, konfrontieren uns mit dem was wir nicht wissen, nicht vordenken und vorplanen können und beginnen mit einer Kommunikation auf einer völlig anderen, unsichtbaren Ebene. Wenn wir diesen Zustand erreicht haben, dann beginnt sich etwas zu entfalten. Wir nehmen uns Zeit, uns als Menschen zu begegnen. Wir nehmen uns Zeit, verstehen zu lernen. Welche Rolle uns im Leben zufällt oder in welche wir hineinwachsen, hängt von diversen Faktoren ab. Dennoch gibt es, so banal es auch klingt, etwas, das uns Menschen verbindet. In unserer raschen Zeit suchen viele nach Orientierung, nach dem Sinn des Seins, nach dem Selbst. Künstlerische Prozesse können Blicke öffnen/erweitern/verändern. Mit dem Existence Theatre schaffen wir Zeit und Raum, uns damit auseinanderzusetzen und auch dem Publikum die Chance zu geben sich zu integrieren. Das Ensemble arbeitet gemeinsam daran, Freiräume zu gestalten, die dann an das Publikum herangetragen werden, und den Raum für Einsichten in eine existentielle Erfahrung schaffen. Schaffen wir uns eine neue Realität, in der wir offen sind, uns vom Fremden wegbewegen, weil wir es bereits integrieren und kennengelernt haben und es dadurch ja nicht mehr fremd ist… dann schaffen wir auch eine neue Wirklichkeit und damit verbundene Realität, in der Rassismus und andere bevormundende Strömungen religiöser, kultureller, politischer und/oder sozialer Art keinen Platz haben und notwendigerweise zu überwinden sind. * Wolfgang Welsch (deutscher Philosoph) schrieb über die Transkulturelle Gesellschaft (1997) im Zusammenhang mit der Notwendigkeit, Kulturen nicht als einzeln nebeneinander existierende, sondern als ineinanderfließende zu verstehen, um die Möglichkeit zu schaffen, Konflikten offen zu begegnen. In seinem Aufsatz verdeutlicht er, dass sich die Transkulturalität von den Begriffen der Multikulturalität und der Interkulturalität insofern stark unterscheide, da es nicht darum gehe, in sich geschlossene Systeme nebeneinander zu fördern, sondern darum, zu erkennen, dass Kulturen nicht voneinander isoliert bestünden und jede Kultur hybrid sei. Er verdeutlicht weiters, jedes Individuum besitze eine “…eigene innere Transkulturalität…”. Um aber dem Fremden offen begegnen zu können, müssten wir erkennen, dass unsere Identität größtenteils aus fremden Elementen bestünde, und dass erst wenn uns dies bewusst sei, wir auch die Ähnlichkeiten mit äußeren Fremdheiten erkennen würden. Im Heute sei es täglich möglich über andere Kulturen, deren Gebräuche und Sitten mehr zu erfahren, als früher über weit längere Zeiträume hinweg. Das bedeutet aber auch, dass es kein einheitliches Identitätsbild gibt, sonder dass jedes Individuum eine andere, individuell unterschiedliche Transkulturalität aufweist. With the Existence Theatre method AIP locate and cause senses of belonging for participants and the people around through productions of individual dimensions and under international and very different parameters. Developing such projects in an institutional framework, AIP are used to interact with and involve people of multidisciplinary background in varied cultural environments and also in public space. Existence Theatre is based on exploring the different and present changes that occur for the individual in terms of discovering/stabilising a sense of personal identity/belonging and how the broken, distorted, often repressed understanding of such issues can lead to social isolation (concerning i.e. language barriers/cultural differences) and other problems in this context, sometimes misinterpreted or even unknown. AIP write creative texts for the individual productions, which get translated and often simultaneously performed in various languages known by the participants. An example can be viewed under Performance Lecture. Improvisation and experimentation techniques guide and influence a complex work process, in which body movement and voice (drawing on different languages) are used to observe present day issues of the individual, placed within a temporary created situation. Depending on project length and number of participants this often means more such situations are created in a row and in different spaces. In the end we have a record of existential experiences. The product, always showing a record of existential experiences, provides for audiences an insight into how single participants get involved in the performative discovery of particular spatial conditions throughout the developing process, in which they experience profound changes of how they perceive their environment and how they use their learned abilities suddenly different. While Existence Theatre isn’t an artistic practice that aims for any therapeutical attempts in relation to its development, it still grows out of self-reflective experiences, which not always generate a pleasant feeling and can indeed sometimes bring forth uncomfortableness within and in-between participants. The self-confronting work method asks for a strong personal involvement of the participants and the willingness to let go of learned practices to reconnect to the inner self and the natural instincts that still affect human life. Throughout such artistic processes they explore, how they can link their education to their natural being and enrich/unleash own capabilities in much greater ways to experience space and time through their human existence. We are interested in how different living environments shape individual people and how we, in turn, shape our social surroundings. In exploring particular and spatial conditions of living environments in a cross-cultural context, we invite selected people to take part in the process of developing such projects while creating temporary ensembles. Individual participants have to confront themselves with culturally formed stereotypes and behaviour patterns and their very own emotions within such temporary situations. Is there a reason, why we feel attached to a place? Or do we feel disconnected, because of all this ‘rethoricalness’ about globalisation, or because we are caught up in a transnational lifestyle? Do terms of identity and belonging change, when we reflect on the phenomenon of globalisation at large? With Existence Theatre we look at chosen or forced (of different circumstances) situations, induced/inflicted by the immigration to a foreign country/culture. Within our personal lives (born in Austria, living in Australia) we perceive difficulties that arise from such conditions. We look at changes that occur for the individual in terms of discovering/stabilising personal identity/belonging and how the broken, distorted, often repressed understanding of such issues can lead to social isolation (concerning i.e. language barriers/cultural differences). „All the world’s a stage“ – „Die ganze Welt ist Bühne“, wrote William Shakespeare in As You Like It. Our stage is a public space or a studio setting in context to the world at large, where we observe, inspect, explore and discover diverse situations of a human life – through our Existence Theatre, a practice that we use to experiment with the human body, its emotions and its actual, conscious presence in time and space. We therefore have divided the projects under this term into different categories: NARRATIVE, ABSTRACT and ANALYTIC. With existence we do not solely address its meaning of a time-based understanding of here and now (questioning the non-repeatable authenticity of performance art from a present-day perspective) but also involving the various facets of existence through a philosophical comprehension of identity and individualism in a globalised and multicultural society. With Existence Theatre (which must not be confused with theatre practice) we explore the links between the screen and the off-screen space and develop work beyond the ideology of the screen. The video is still present but serves as a tool of a much richer process, where creative writing, performance art (through body movement and voice) and object installation correlate to each other. The video serves as the actual/final communication tool to our audiences, – not present during the recording. We have continually refined our use of performative practices over the past few years, when developing our individual video installations as well as live actions/interventions in public space. But projects of recent years have made it clear that the ponderosity of performance action within our video context (focusing on the human form and multi-lingual voice works) has altered. The performance acts have become more significant in the context to build the work. The use of technology has been reduced to a certain degree. You find overlapping video images used in previous work now replaced by simplified and mostly „untreated“ recordings of performative actions in front of the camera. Was it of interest to press every button of possibilities to manipulate recorded material, we now try to make focused and limited use of technology. The performance act gets recorded, not solely to serve as documentation material of the live action, but to be used to create a video performance, an artwork in its own right. 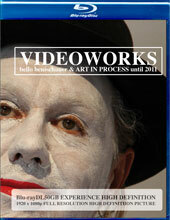 It depends on a strong experimental character by using methods of improvisation, resulting in such video performances. The work process itself becomes the main challenge. Transient performance acts are based on self-written text/dialogue and/or minimal dramatic instructions; filmed in front of the action-documenting camera; in private/intimate environment of a studio setting and/or in public space. We especially work site-specific, interested in how different living environments shape individual people and how they, in turn, shape their social surroundings. Through Existence Theatre we engage with performative actions in connection to new media in the public space and within a studio setting. We explore diverse spatial conditions and living environments of cross-cultural nature. Our projects are process-orientated and aim to create lasting experiences for participants and audiences. With our work we mean to create situations and processes that increase the social and emotional well being of people in our society. We aim for a sensible involvement of others in the making process under participatory parameters. And use art as a social transmitter and communication tool to activate a positive dialogue between people within and between diverse communities in our immediate and extended surroundings. The works/projects ask for different presentation formats, depending on the category under which single projects are created. NARRATIVE… tells a story, based on a text, associated with the format of a theatre play. Sometimes an idea gets realised through an unscripted dialogue that is performed improvised without any preparation. ABSTRACT… still including narrative aspects, it is especially based on the experimentation with behaviour patterns through movement and voice: in particular space, overlapping and experimentation with different spaces (real and on-screen), intruding/invantilising/occupying a space within an existing space. ANALYTIC… the narrative aspect is not that essential to the overall process and relates to any form of artistic analysis, that takes up the idea of a psychoanalytic session, while converting felt emotions (about a certain theme and in a particularly created situation) into an artistic expression through movement, voice and used objects (outcome unclear, experimental and installation-like).